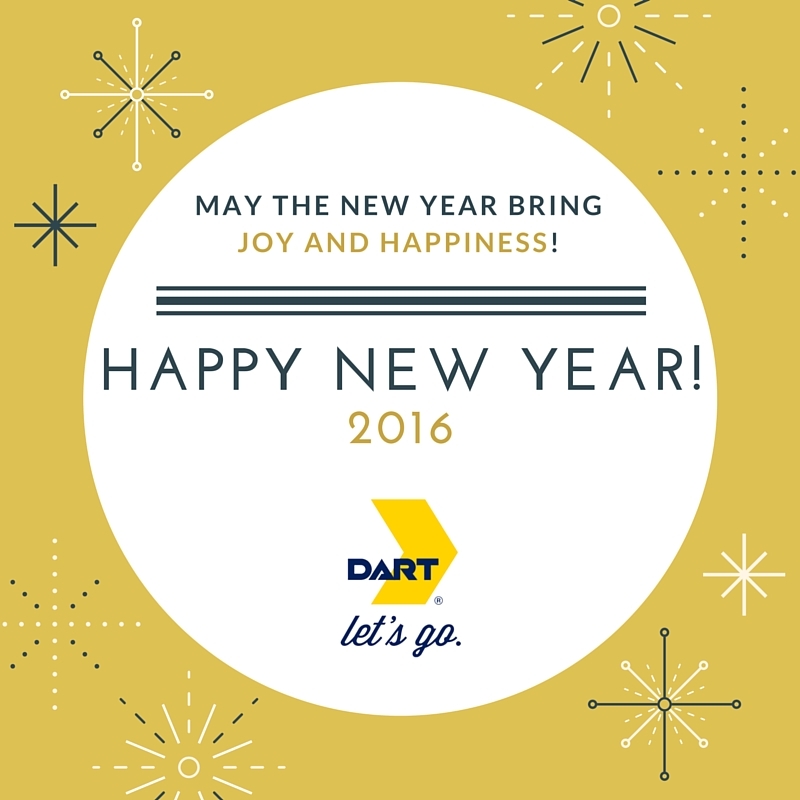 Happy New Year from DART! Reminder: DART Bus, Rail, Paratransit and Trinity Railway Express service is FREE tonight beginning at 6 p.m. until the (extended) end of service at 2:30 a.m thanks to a partnership with Miller Lite. Visit DART.org to learn more about New Year’s Eve and New Year’s Day service. This entry was posted in Other, Service. Bookmark the permalink.